Meetup is the world's largest network of local groups. Meetup makes it easy for anyone to organize a local group or find one of the thousands already meeting up face-to-face. More than 9,000 groups get together in local communities each day, each one with the goal of improving themselves or their communities. Meetup's mission is to revitalize local community and help people around the world self-organize. Meetup believes that people can change their personal world, or the whole world, by organizing themselves into groups that are powerful enough to make a difference. Functional Safety Of Automated Driving Systems Will Be The Topic Of SAE International Meetup In Milpitas, Calif.
WARRENDALE, Pa. (PRWEB) November 19, 2018 -- SAE International will hold a Meetup to discuss functional safety in highly automated and driverless systems. The next DC area travel meetup is set. Bring a toy for Toys for Tots, if you live in DC, Northern Virginia or Maryland join us! Why Nudge.ai? Reach out to the decision makers at Meetup with a personalized email - let them know that you found their recent news mention interesting. Nudge.ai’s relationship intelligence platform can help you find the right executive to reach out to at Meetup, such as Andres Glusman, Chief Strategy Officer, or Scott Heiferman, Co-Founder and Chief Executive Officer. Then get in touch and start a conversation. Executives can be difficult to reach, but every company has connectors who bring together people and ideas. At Meetup, people like Mitchell Golner, and Fiona Spruill are likely connectors. 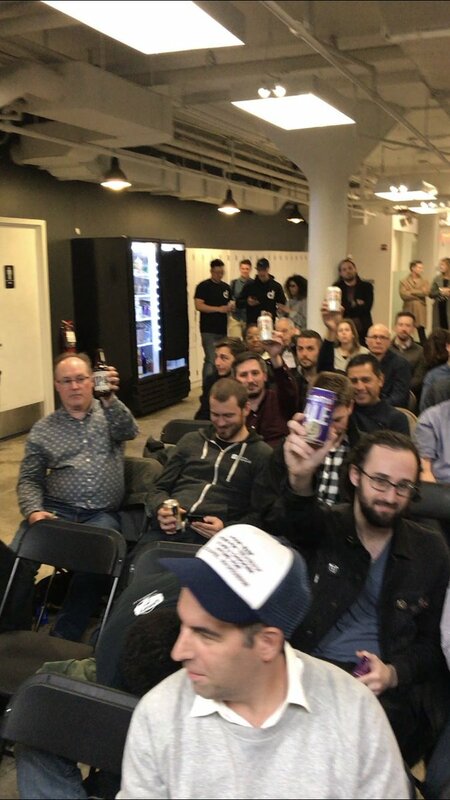 Thanks again to last night’s sponsors @DistroKid @MusicTectonics @DailymotionUSA @lagunitasbeer & @OttosTacos for helping us build such a vibrant community! When Meetup is mentioned in the news, Nudge.ai often sees topics like Marketing, and Books. If your conversation focuses on these topics, you’ll probably get Meetup’s attention. When Meetup is mentioned in the news, companies such as Hubspot, Spotify, and Instagram are often also mentioned. These companies can serve as customer examples. Employees who are often in the news are usually open to starting conversations or exploring ideas. Nudge.ai's sales AI saw Fiona Spruill, Kristin Hodgson, and Chris Benson from Meetup recently mentioned in the news. As social media turns toxic, Meetup has created a tool that actually allows people to connect with one another. That's about to become more important than ever before. A group linked to the Russian troll farm behind thousands of fake Facebook ads paid personal trainers in New York, Florida, and other parts of the United States to run self-defense classes for African Americans in an apparent attempt to stoke fear and gather contact details of Americans potentially susceptible to their propaganda. Pittsburgh's pioneering independent media site covering Steelers, Penguins, Pirates, Pitt, more! Who in your network can introduce you to Meetup? Nudge.ai finds the best pathway to reach contacts at this company.